We checked out the Fox and Goose last night. It would take a twelve month to read all the pump labels from the past that decorate the bar. Another really friendly pub and dating from the 18th century is well worth the visit and up to the Jolly Miller standards. This morning I took bit of a walk about the area near the canal. In the Information Centre I picked up some leaflets and one on a few local walks. 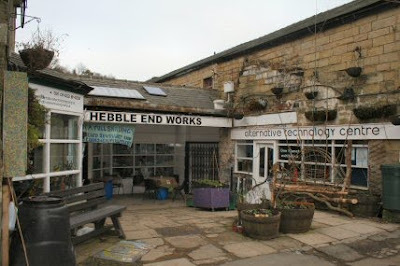 I the next week I am going off to Hardcastle Crags, Hepenstall and Stoodley Pike. From up near the Pike are some supposed brilliant views back down the valley. 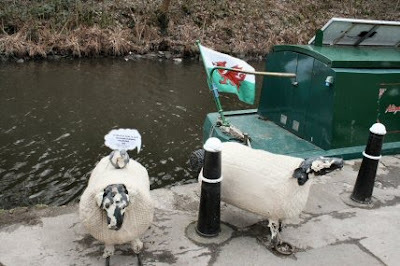 The fact that there are two sheep stood on the side of the canal had no bearing on my picking this mooring. Honest:-) They advise on the lagging of the loft amongst other things. 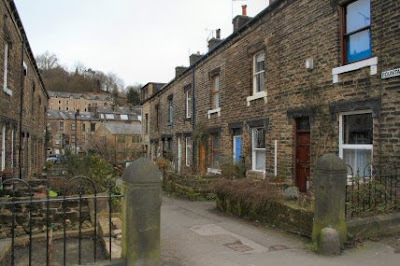 Just off the canal are a couple of streets from the past. 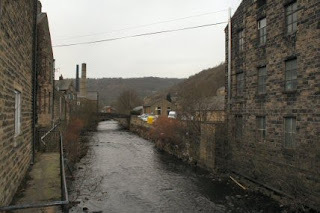 I can see why Hebden Bridge is used in so many TV programs. 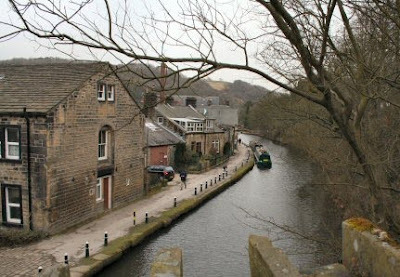 The town of Hebden Bridge is divided up with rivers running through and meeting in the middle, the canal going up the valley and railway following the same line. Many of the buildings still have the old stone tiles on the roof. The main shop I have found so far is the Co-op which is just round the corner from the mooring. Lots of others dotted all over the place and still haven't found HSBC to deposit my presents from Ernie.